What drives their obsession about firearm ownership in America? The official Chinese government news agency, Xinhua, has demanded the US immediately adopt stricter gun control measures to reduce the number of firearms the US populace is permitted to possess. The Chinese state-controlled media’s statement, titled “Innocent Blood Demands No Delay for US Gun Control,” is primarily focused on the Newtown tragedy in which 26 Americans were killed by a mad gunman. Twenty of the victims were young children. In an apparent effort to restrict information to their populace, the Chinese government wrote of a number of US mass shootings but failed to mention they were either stopped by a citizen legally carrying a firearm or otherwise only occurred in the controversial gun-free zones that critics say make prime targets for madmen. The past six months have seen enough shooting rampages in the United States. Just three days ago, three people were shot dead at a shopping mall in Oregon. Two weeks ago, a football player shot his girlfriend dead and then committed suicide. Five months ago, 12 people were killed and 58 wounded in a shooting spree at a midnight screening of a Batman film in Colorado. The Clinton government launched a series of gun control policies at the end of last century. And the Democrats lost the Congressional election in 1994 and the presidential election in 2000, with the shadow of the NRA present in both defeats. SHANGHAI (Reuters) - The United States should learn from China and “genuinely” protect human rights by restricting gun ownership, an editorial in a widely read state-run Chinese newspaper said on Friday. “Washington has been pointing an accusing finger at other countries over human rights ... However, more Americans have been killed by gunfire in the country than American soldiers being killed in all U.S. wars,” the Global Times said. “Gun ownership in China is strictly regulated, which helps reduce gun-related crimes and deaths. The U.S. should learn from China and genuinely protect human rights,” it said. “The U.S. has no other choice but to adopt gun control. The right of life is the most fundamental (of) human rights. The right to bear arms cannot overpower the individual’s right to live,” the Global Times editorial said. “The U.S. has no other choice but to adopt gun control. The right to life is the most fundamental (of) human rights. The right to bear arms cannot overpower the individual’s right to live,” asserted the Global Times on Friday. The Global Times is the state-run newspaper in Communist China. The advice to the United States came in response to the school shooting in Florida at Broward County’s Marjory Stoneman Douglas High School last week, in which 17 students and staff members were murdered by a former student of the school, 19-year-old Nikolas Cruz. “Washington has been pointing an accusing finger at other countries over human rights.… However, more Americans have been killed by gunfire in the country than American soldiers being killed in all U.S. wars,” the Chinese paper claimed. Not only is gun ownership in the communist dictatorship “strictly regulated,” but ownership of anything at all is strictly regulated there. Religious practice by Christians and other religious groups is also “strictly regulated.” That is, of course, what a communist dictatorship is all about — strict regulation. And, so far as protecting “human rights,” the main violator of “human rights” in China is its communist government. No real political dissent is allowed in the country. If anything, what little respect for human rights China had developed since the days of Mao Tse-tung has been sharply curtailed by President Xi Jinping in recent years, as the country has seen an increasing restriction on rights, in the area of religion as well as on human-rights lawyers and activists of all sorts. In 1989, China’s repressive regime cracked down on demonstrators in the infamous massacre at Beijing’s Tiananmen Square. Perhaps that incident is a reason that the Chinese government sees no need for its own citizens to possess firearms. It makes it much easier to crush them with tanks without fear that one of the citizens might just take a shot at members of the Communist Party leadership. But, the Chinese government argues that its human-rights success comes in the area of lifting its people out of poverty. Likewise, many Americans have excused the disrespect for both human life and human rights in Cuba under the Castro brothers, because, after all, Cubans have “free” healthcare and universal education. She well understands the purpose of individual gun ownership, from her own personal experience. A native of Austria, Werthmann recalled that Hitler’s National Socialists made it practically impossible to fight back against their rule, because the Nazis took away all the guns. First, they instituted gun registration, arguing it was the only way to “track criminals.” So citizens dutifully went to the police station, where the serial numbers of their guns were recorded. Not long after that, Werthmann recalled, they were ordered to turn in their guns. The government explained that this was to end crime in Austria. Another American who understood the purpose of private gun ownership was George Washington. He said, “A free people … should have sufficient arms and ammunition to maintain a status of independence from any who might attempt to abuse them, which includes their own government.” (Emphasis added). The central purpose of the Second Amendment’s protection of the right of individual Americans to own firearms is often forgotten or little understood, even by many of its supporters. James Madison did not include the Second Amendment in the bill of rights to protect hunting. Saying one does not “need” an AR-15 in order to hunt deer is an inane statement. Neither was the Second Amendment’s purpose to protect sport shooting. It was not even primarily for self-defense from every day private criminals. Its purpose was as a last line of defense against a criminal and tyrannical government. The Chinese Communist oligarchs understand this very well. It is high time average Americans did, too. It’s nice of the Chinese Communist Party mouthpiece to go to the trouble of recommending ways the United States can reach the levels of freedom and prosperity enjoyed in the Middle Kingdom. 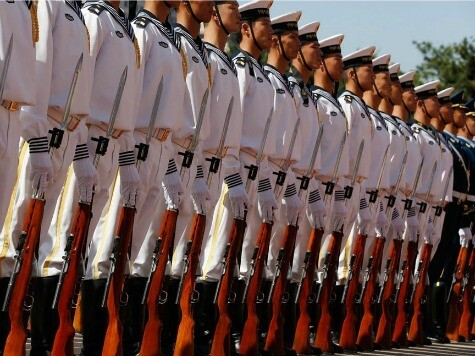 China is now the country with the fewest gun-linked crimes in the world. This results from strict control and regulation of firearms, which have contributed to China’s rapid economic growth and the stability of society in the past four decades. Private possession of firearms is generally prohibited with extremely limited exceptions in China. Relevant laws provide harsh punishments for gun control violations. All these measures guarantee that guns are not in the wrong hands. The US government needs to adopt updated and stricter laws to ensure firearms are in the right hands. Stronger gun laws could result in fewer gun deaths. But focusing on gun laws for the sake of shootings may lead to omissions in regulations that should be more comprehensive. In recent years, the Chinese government took further steps to adjust and tighten its regulations on gun ownership in accordance with evolving national conditions. Although the moves are based on China’s conditions, the Chinese general road map for strict gun control is worth mulling over for the US, Brazil or any other country with similar headaches. China has developed its proper way, and so can the US. Well, certainly not for lack of our various arms of government trying between the states and Feds. Just remember, today was the last day to legally possess a bumpstock before it magically becomes a post-1986 machine gun thanks to Trump's Executive Action.